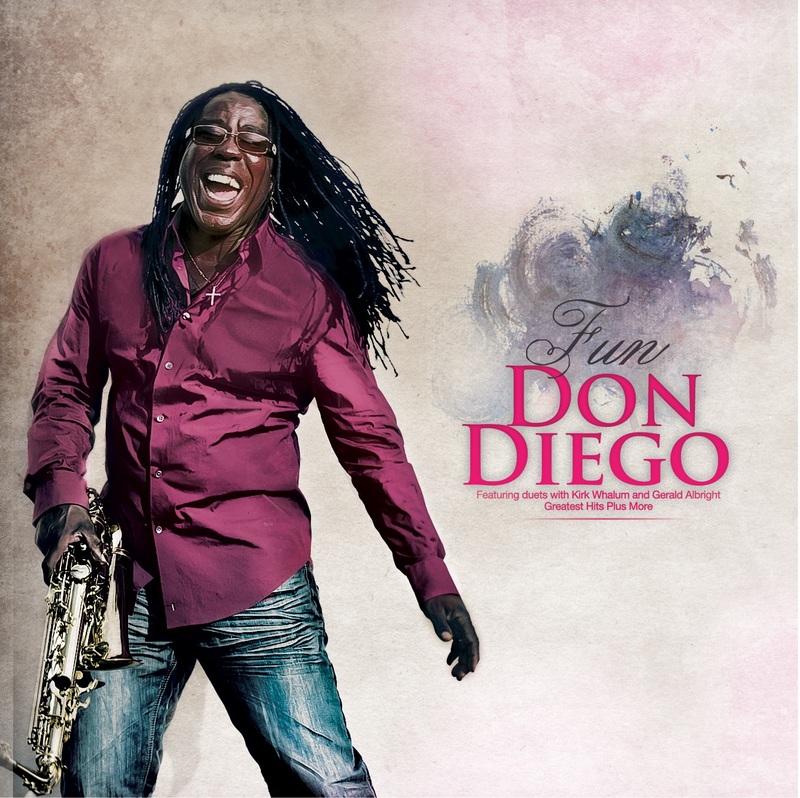 Veteran saxophonist Don Diego serves up a fun filled released properly entitled Fun. Each track exemplifies the spirit of summer. If you are trying to enjoy the last days of the season before fall descends upon us; this Fun is an eclectic yet cohesive listen as the program takes the listener through 16 tracks of an excellent listen and wonderful addition to any smooth-jazz collection. disc will instantly lift your spirits and get your mood in an uplifted groove. “Tenor Fiesta” begins the festivities with inspired rhythms and sensuous tenor sax provided by Diego; Latin rhythms lace the track as the tune pushes and pulls through emotive sections creating and highly radio friendly cut or a soundtrack to your day. “Fun” is a funk filled groove tune that gets your hips moving from the first note, its deep groove will definitely heat up your night. “Round 12am” is a slinky dark cut that utilizes thumping bass-lines and mood to convey its message. A nylon strung guitar inspired “Unnatural Change” features just that, a nice texture change with an unusual harmonic movement to add interest to the cut. The final track “Fun (Remix)” is upbeat remix of the title track “Fun”it is electric, vivacious and just plain funky. I could easily hear this track pumping at the club. It’s got the dance grooves and moves. Overall Fun is an eclectic yet cohesive listen as the program takes the listener through 16 tracks of an excellent listen and wonderful addition to any smooth-jazz collection. Be the first to comment on "Don Diego, Fun"